Perfume or fragrance is one of the most important tools for building a good impression. Either you want to appear good in front of new people or you want to make your significant ones notice you more, your scent is a crucial factor that plays the center role. In fact, some studies show that it is our smell, instead of our visual appearance, that will be recognized first by the brain of another, creating the very first impressions about us. Now, you want to appear young and fresh. 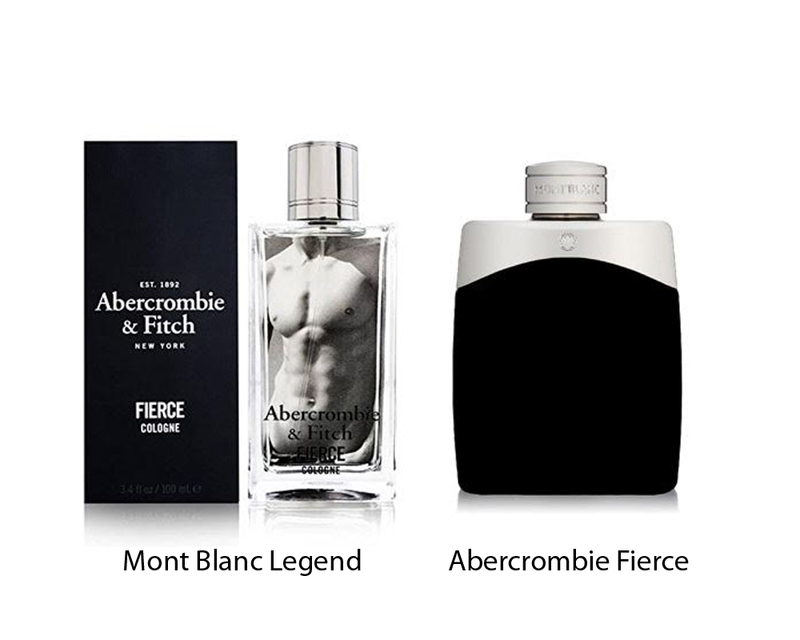 There are two perfumes that can suit your need best: Mont Blanc Legend and Abercrombie Fierce. While the two are both very famous for their high qualities, which is the one that you should get? Mont Blanc Legend has a scent that is quite versatile, great for formal circumstances as well as more casual ones. It is best suited for young men, around 20s or 30s. It smells subtle, yet masculine and with a deep impression. It projects confidence, courage, and passion. Oliver Pescheux, the well-known perfumer behind Mont Blanc Legend, has filled the fragrance with a sophisticated combination. The smell opens with the fresh aromatic tones of lavender, pineapple leaf, bergamot, and exotic verbena, carrying the heart of oak moss and dried fruits. The freshness is then reinforced by the warmth of sandalwood, tonka, and evernyl. As a matter of fact, Mont Blanc Legend is also very popular as an alternative to Abercrombie Fierce due to the immensely similar smell. The latter perfume is very popular on the market for younger men. Compared to Mont Blanc Legend, Abercrombie Fierce has a much stronger projection and longevity, making it an immediate attention getter. It features the notes of petit grain, lemon, orange, cardamom, and fir, preserved with a warm and musky base. In general, Abercrombie Fierce makes a great choice due to its excellent projection and longevity. The sillage is great, without being excessive, thus enhancing your smell and appearance more strongly. Mont Blanc Legend may have a more refined scent, but the projection and longevity are not as good.